If you need a boost, check the western sky for the beautiful Venus and Jupiter (see the line-up from last week). When I was speaking to Mary Lomando yesterday, she said that luck and grace (Jupiter and Venus) are powerful influencers right now. I had my annual Astrology Chart reading with Mary this weekend and it was stelllllar in more ways than one. 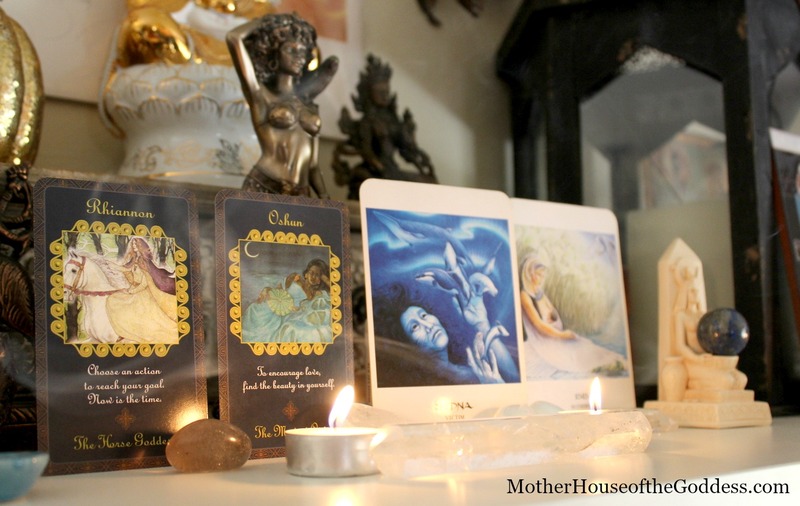 To really understand your chart and any Astrological influences, I highly recommend a reading with Mary. It is a great road map for the months ahead! For this “feeling” oriented week, we have four (again!) Goddesses lining up to bring messages and assist in guiding your week. Three of them are very watery: Oshun, Sedna, Isis and Rhiannon and Sedna are connected to the Underworld. I love the synchronicity of the astrological weather and the Goddesses that appear for the week! 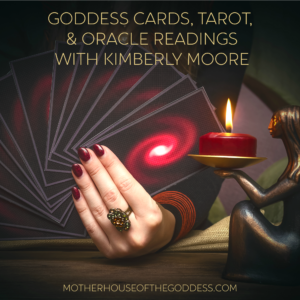 As with all the messages from the Goddess Card Readings, choose the Goddesses and messages that resonate for you. Rhiannon is riding into our week on Her amazingly fast horse. This Welsh Queen of the Underworld and Horse Goddess brings challenging lessons, but also brings solutions that cause us to reach into our deepest selves and reveal hidden issues. She definitely represents the Pluto energy this week! In my meditation, I saw Rhiannon sitting on Her horse on a high hill. Her long blonde hair was blowing slightly and Her blue eyes were piercing. The air around Her was filled by the magical birds that are Her constant companions. Her message is “trust your instincts and act now“. Rhiannon’s appearance may indicate situations that involve betrayal or intense misunderstandings. She has appeared to remind us that you can be pro-active in these situations by listening to your inner voice – Her whispers to you from the Underworld. Many times, we “know” or “sense” when something is not right and when we don’t trust ourselves or believe the warning signs, betrayal and misunderstanding can happen. You KNOW. And She knows that you know. Rhiannon likes to communicate in dreams and frequently uses horse and bird symbols to make you aware of Her presence. 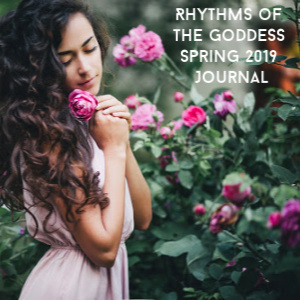 Keep your dream journal close this week and perhaps some good dreaming crystals near your bed to invite Rhiannon to your dreamtime. Crystals that are good for dreaming are: Amethyst, Lapis Lazuli, Herkimer Diamonds, Kyanite, and Moonstone. Oshun is the Yoruban Goddess and Orisha of the Sweet Waters. Her intoxicating laughter fills us with joy and She invites us to cleanse ourselves in the waters of Her rivers so our true beauty may be revealed. As an Aborisha and Daughter of Oshun, I am delighted to see Her this week but not surprised. 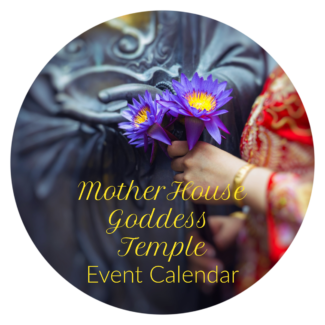 I worked over the weekend on a presentation of Oshun for a Goddess Telesummit coming in August (stay tuned for details). 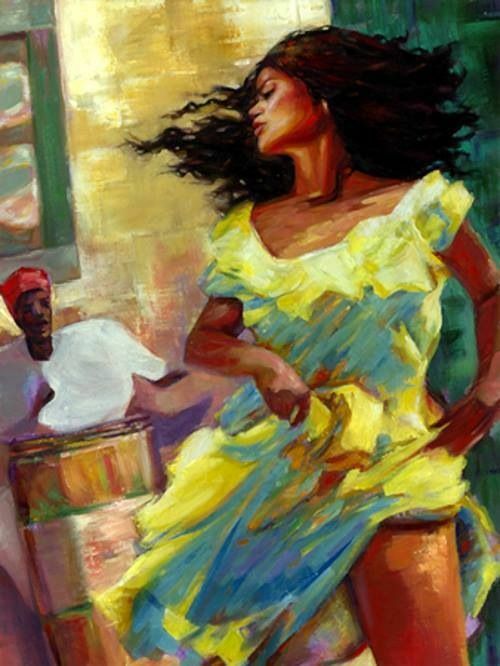 She weaves Her magic into and around us and, like Aphrodite, Oshun brings in the energy that makes life worth living. As the source of the rivers (sweet waters), She embodies life cycles from the beginning to the end. All things begin with Oshun (think of womb waters) and to Her we may turn for nourishment and sustenance. 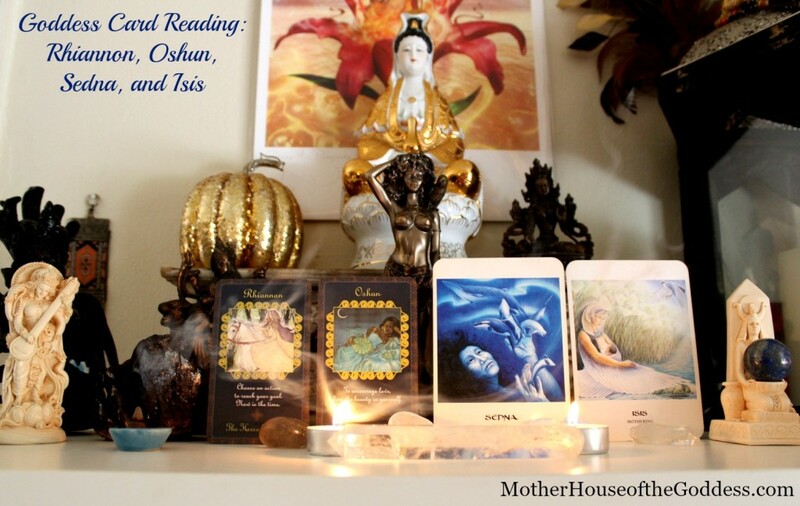 We may even find ourselves called to sacred activism with Oshun. Think of what would happen if our water supply dried up, if She withdrew Her gifts from the world. Watch this video of Yeye Luisa Teish, Priestess of Oshun, talking about Oshun and Her ecological implications. Self Care is Her message this week. Take care of your beautiful temple, your body. Seek out what makes you happy. Adorn yourself with oils, perfumes, jewelry, and wrap yourself in your favorite colors. Did I mention that She rules over the kitchen too? Oshun loves sweet potatoes, pumpkins, lemons, squash, cinnamon, and kitchen implements. Spend time in the kitchen this week creating delicious, healthful recipes. Carry amber, citrine, or golden calcite to remind yourself of Oshun’s presence. If you are near a river, take Her an offering! Sunflowers, honey (taste it first before offering it! ), perfumes, and pumpkins are all wonderful to offer to Oshun and the river to ask for Her blessings. 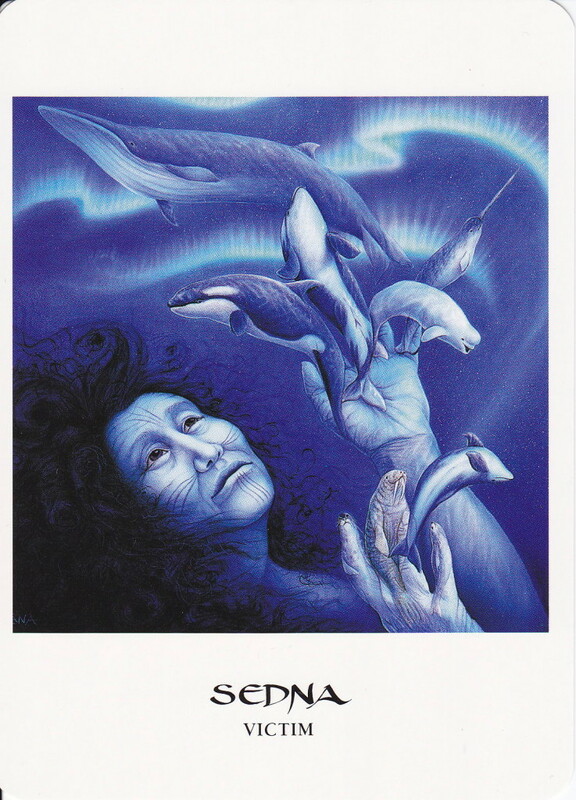 The Inuit Goddess, Sedna, brings Her powerful story to us this week. She carries some of the Plutonian influence, but also as the Goddess of the Sea and all life within it, She brings water and emotions with Her as well. There are several legends about Sedna, but the common thread in all of them is that She finds Herself about to be sacrificed to the sea and as She clings to the boat, Her fingers are chopped off. In some legends this is Her father and in others, it is the village people who are doing the sacrificing and chopping. When Sedna’s fingers fell into the sea, animals of the sea sprang forth from them: walruses, salmon, seals, and whales. Through Sedna, the abundance of ocean life was created. In this respect, She is a Goddess of creation and abundance; however, She brings a caveat. Her message this week is “you make your own choices, so choose well”. Sedna also represents repressed anger and the tendency to step into a victim role. Who wouldn’t be angry at being sacrificed? But even righteous anger can be poisonous to our soul and spirit. Sedna reminds us that even tragic situations have unexpected outcomes and that after destruction, new life is created. You may choose to remain a victim, or you can transform the situation, release the tragic story, and invite abundance and new life into your world. Others cannot heal our wounds for us. We must identify our wounds and begin the work of transformation. Sometimes these issues and repeating patterns need an objective opinion to begin the healing process. Seek out a therapist or counselor to help you take back your story and turn it into one of joy and positivity. 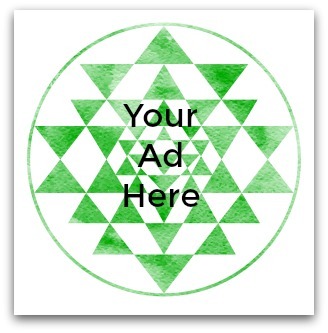 Need some help breaking out of your Sedna pattern? 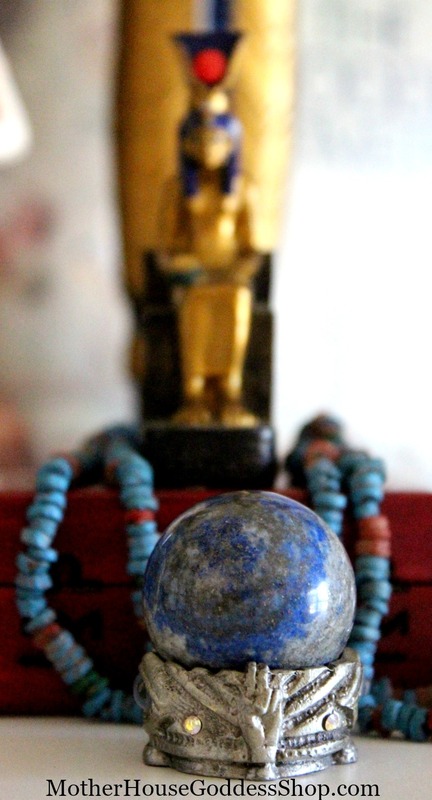 The Egyptian Goddess ISIS is the antidote. She who is Great of Magick, Isis is a Goddess of Magick and Manifestation. She respects hard work, after all She moved universes to re-member Her husband, Osiris. 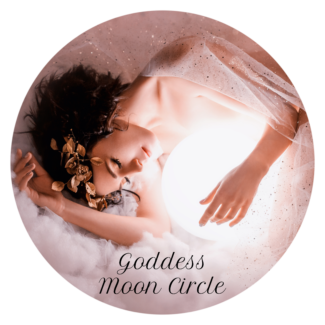 As a Goddess of deep mystery and initiation, She may be a catalyst for the next step needed in your spiritual evolution. 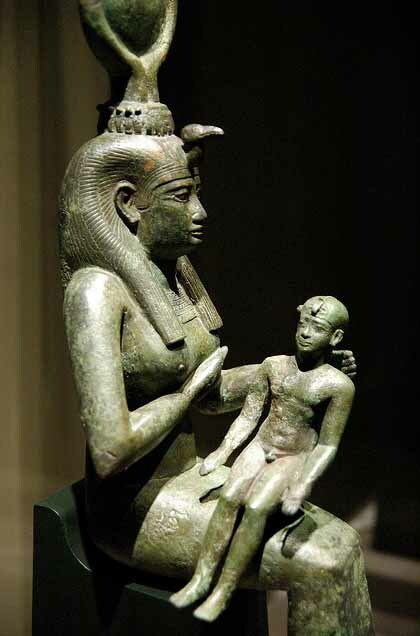 As a Goddess who is a wife and mother, She offers comfort and strength to those who need a mother. Her message this week is “don’t get too comfortable, there is work to do”. Sometimes we wallow. We get very comfortable in the energetic patterns in our lives and we resist change and movement. 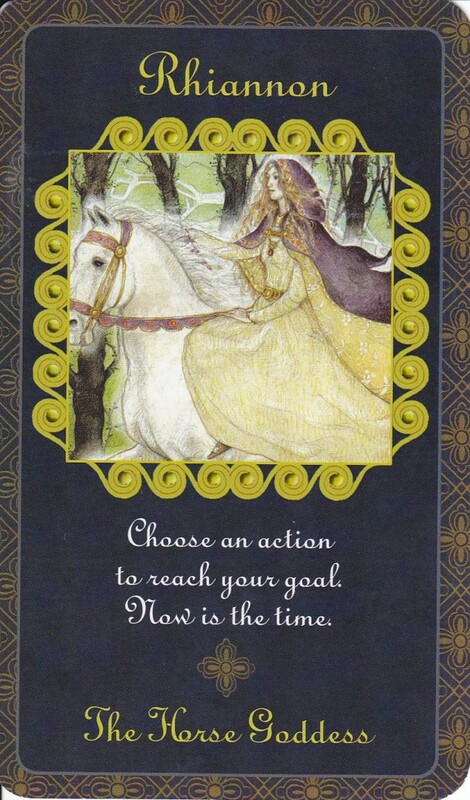 Action and movement facilitate manifestation, so take the time you need and also be forming a plan of action. ISIS lends Her motherly compassion, but She is strength and will shift energies when we are reluctant to do it ourselves. Feel like you can’t get it together because of chaos surrounding you? Request to be embraced by the wings of Isis to take a step back from the chaos. Isidora Forrest did a magnificent meditation to ISIS that you can use anytime to invoke Her healing, palpable presence. 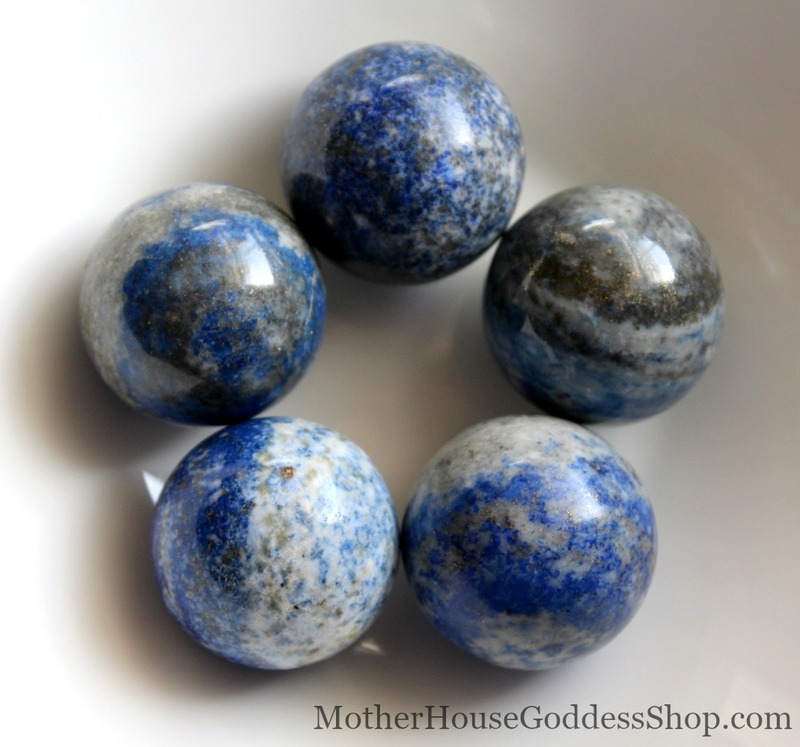 Lapis Lazuli is one Her stones and we have gorgeous Isian Lapis Lazuli spheres available in the Goddess Shop for your altars and meditation with Isis. July is the time of ISIS as well, look to the skies for the bright shining star of Sirius in mid-July. Sirius (the Dog Star) was known as Soped or Sothis in the ancient world – the brightest stationary star in the night sky and it was this star that was attributed to Isis. When Sirius emerged from behind the Sun in the middle of summer, it heralded the Egyptian New Year and the first rising waters and eventual inundation of the Nile. In the agricultural calendar and the experience of the Egyptians, this inundation of the Nile brought life back to the desert; it resurrected them from near-death. The Goddesses this week are ones that may push us of our comfort zones, but also offer messages of inspiration, healing, and transformation. 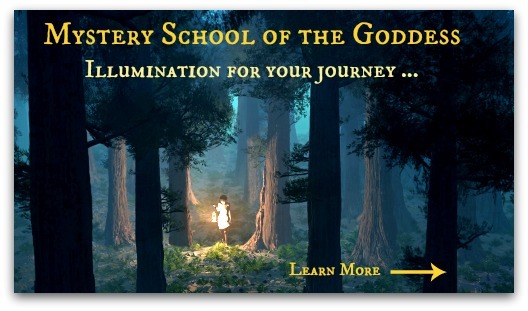 I would love to know what Goddess is resonating for you this week! Leave a comment below and share your thoughts and/or experience. All in all, honor your feelings this week and be aware that things may feel touchy or overly intense. Breathe. Call Goddess. Transform. Bright blessings for your week!